I purchased a gold mine of crafting inspiration last week when I found a mixed bag of Jenga blocks at my local thrift store for $1.25. 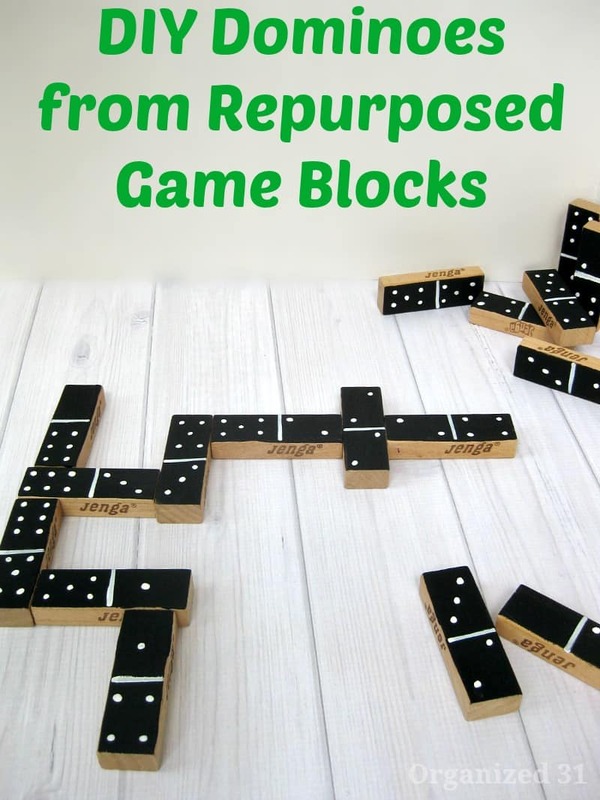 There’s something about repurposing those blocks that has become addictive. 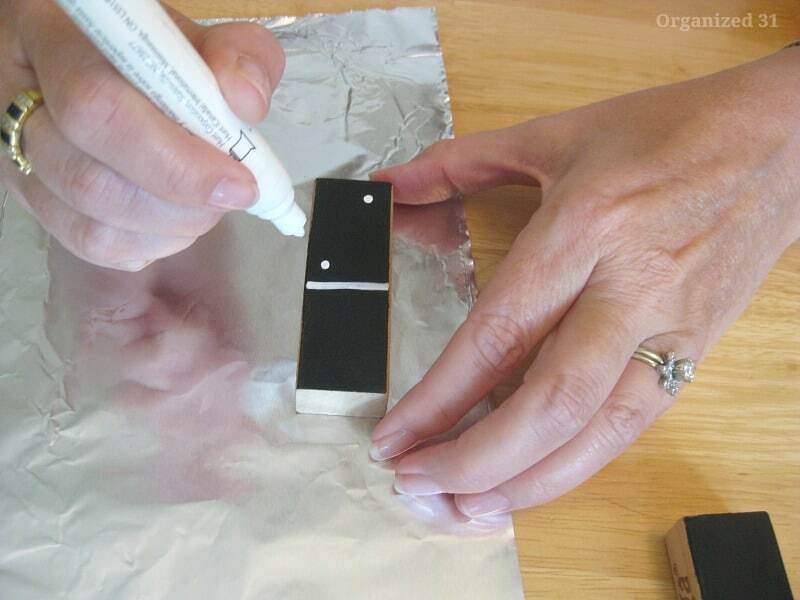 Today I’ll show you an easy kids’ craft making your own diy dominoes that would also make a great teacher gift. My crafting buddy, J., and I got together for a session of crafting and chatting (or was it chatting and crafting?). After we made a recycled back to school craft with the blocks, I wanted to paint more. J. came up with the idea that the blocks would make perfect dominoes. 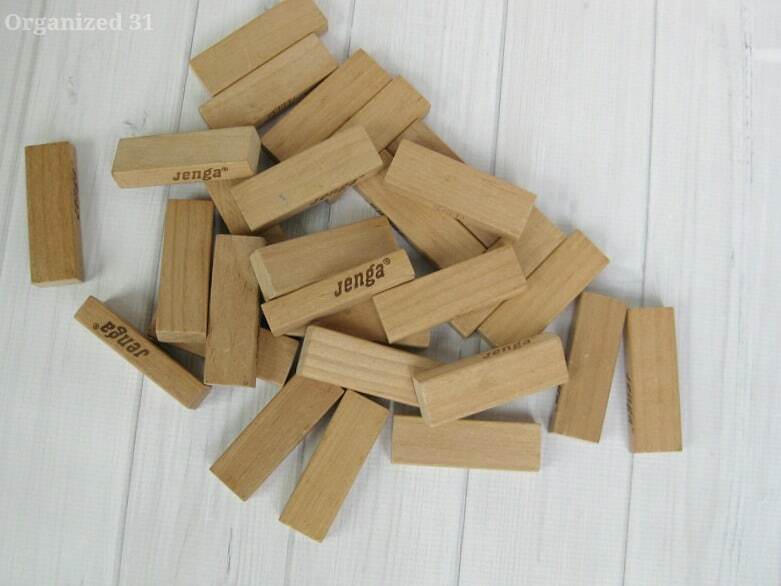 The great thing about painting the Jenga blocks as dominoes is that now you have 2 games in one. 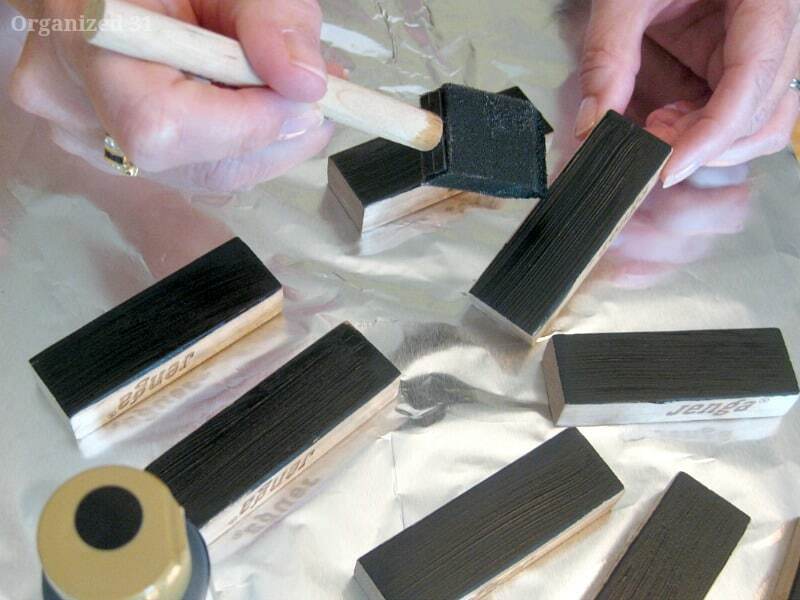 We painted one side of the blocks with black craft paint. 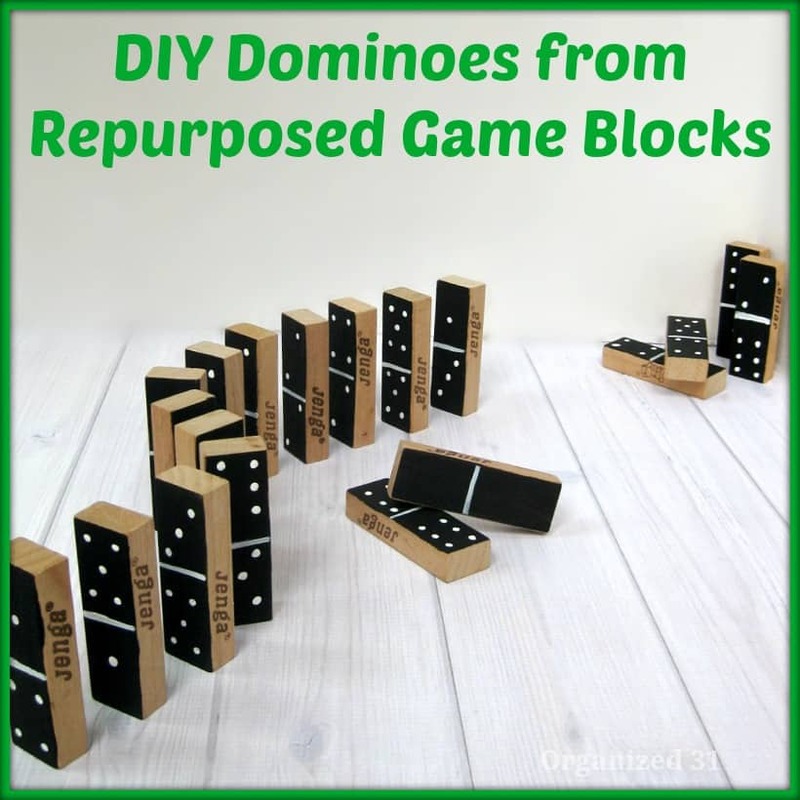 After the paint dried (about 20 minutes), we used a paint pin to make the face of the dominoes. 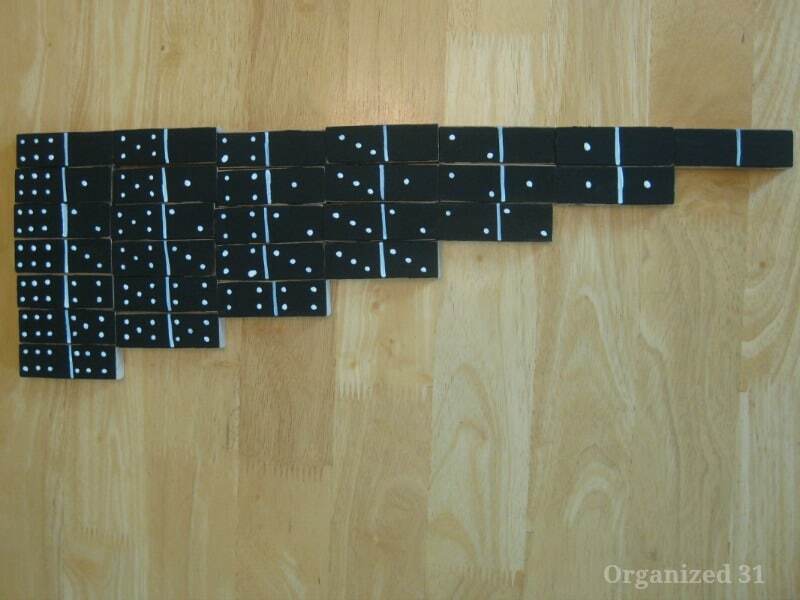 The easiest way to make the correct faces on the dominoes is to lay them out in a pyramid and follow these directions. 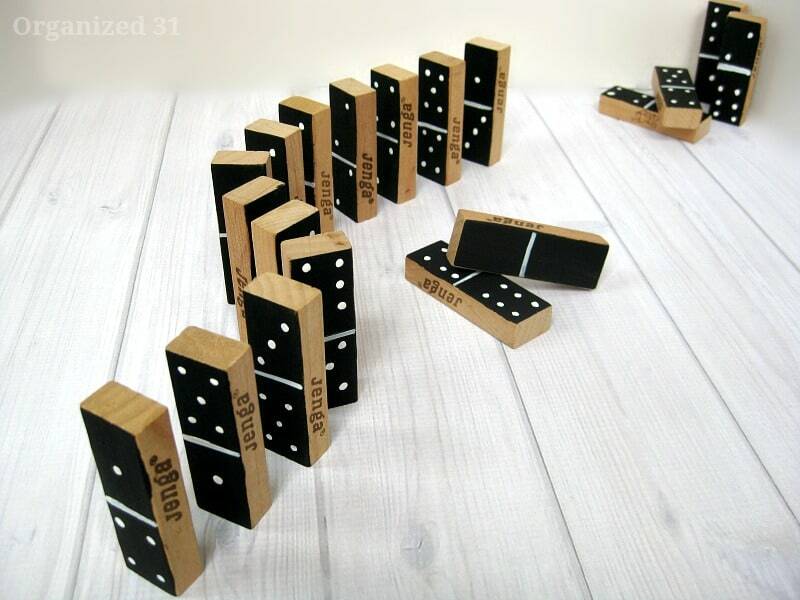 In about 45 minutes you have created a set of dominoes perfect for playing a game with…. …or making the ever popular dominoes show. 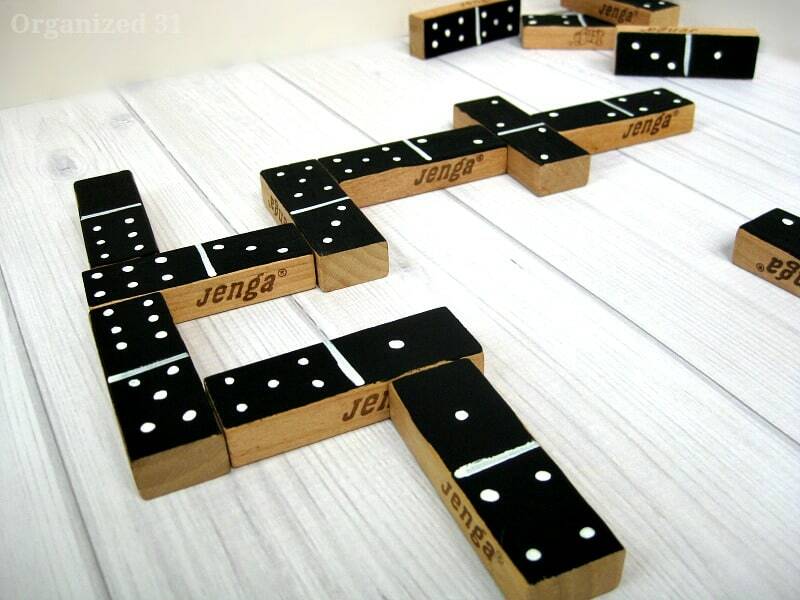 Everyone I know may be receiving painted diy dominoes this year. It’s a fun kids (or just moms) craft that would also make a great teacher gift or gift for anyone.